Stats Are Boomin! | You're not alone in this world. 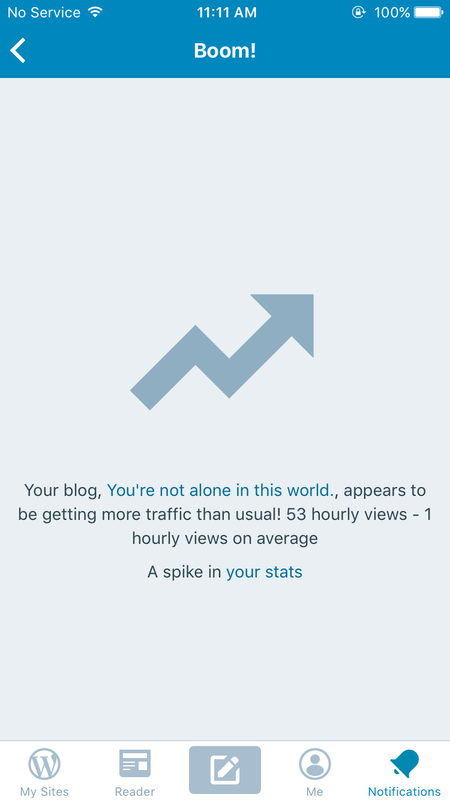 Woke up this morning with a notification from WordPress… woah 53 hour key views compared to 1 hourly view lol. Thank ya thank ya!! I also gained 11 new followers yesterday, welcome!! Most of done something right yesterday lol. Hope everyone is having an awesome day. If you’re not remember you’re not alone with what you’re going through and try to keep that head up!